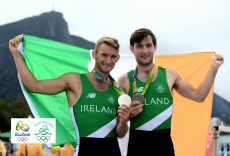 Gary and Paul O’Donovan made Olympic History with a first ever rowing medal for Team Ireland amid emotional scenes at Lagoa Stadium in Rio. The brothers finished second in a thrilling Men’s Lightweight Sculls final, .53 seconds behind gold medal favourites France. The result was in the balance right down to the final stroke as Norway finished with bronze just .16 seconds behind the Irish. Having struggled to get out of their boat with cramp after the race, the O’Donovans celebrated with friends and family before receiving their silver medals to wild applause. They’d made a name for themselves with memorable post-match interviews, and served up another to RTE Sport. Rio 2016’s status as Ireland’s most successful ever Olympics for rowing was confirmed with the appearance of Claire Lambe and Sinead Lynch in the Women’s Lightweight Double Sculls A Final. The pair couldn’t get into the mix for medals, and ultimately finished 6th in 7:13.09, but it was an unpredented treat to witness two Irish boats contest Olympic ‘A’ finals within just 15 minutes of each other. Sanita Puspure led from start to finish in her Women’s Single Sculls C/D Semi-Final, meaning Ireland’s campaign at Lagoa won’t finish until after Puspure’s C final on Saturday at 14:00 Irish time. Ciara Mageean qualified for the semi-finals of the 1500m with an impressive second placed finish in Heat 1. The Portaferry runner had been sitting comfortably in third position heading towards the bell and was the only one to give chase when Genzebe Dibaba broke for home on the back straight. There was no catching the reigning world champion, but Mageen had done enough to ease up at the finish line for a time of 4:11.51. Mark English timed his heat to perfection to finish third and qualify automatically for the Men’s 800m semi-final. Trailing at the back of the field with a lap to go, English kicked at the bell and had plenty in the tank crossing the line in 1:46.40. His time ranked 14th overall and his reward is a heavily stacked semi-final at 02:26 on Sunday morning in a field including current Olympic champion, World champion and world record holder David Rudisha. 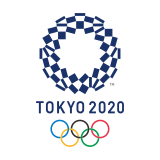 It was a day of Olympic debuts for Team Ireland’s athletes, and Alex Wright is already looking forward to returning to action after a 46th place finish in the Men’s 20km Race Walk. The Cork athlete made up 11 places in the second half of his race with a finish time of 1:25.25 and will join team mates Rob Heffernan and Brendan Boyce in the 50km Race Walk on Friday. Seamus Power had the third highest score of Day 2 in the Men’s Golf Stroke Play competition at Rio 2016 to move from 27th to a tie for 10th overall. The Waterford man shot a 67 and sits on -4, six shots back from outright leader Marcus Fraser (AUS). In a field of 60 golfers, Padraig Harrington is tied for 22nd with 30 golfers below him on the leaderboard. It took birdies on the 17th and 18th to bring him back to 71 for the day and -1 for the tournament. Ireland kept their hopes of a place in the last eight of the Men’s Hockey competition alive until the final quarter of their Group B decider against Argentina, but ultimately lost out 3-2 to end their historic campaign. Gonzalo Peillet was the Argentine architect of Ireland’s fate with two goals from penalty corners and a hand in another – his second flick came just 46 seconds after Shane O’Donoghue made it 2-2 with 9:56 left in the fourth. It was 1-1 at half time thanks to John Jermyn’s finish from a penalty corner in the second quarter, but Ireland knew only a win would see them through against the world number seven side. A new personal best and national record for Judy Reynolds and Vancouver K was more than enough to see Ireland advance to a second ever individual Equestrian Dressage decider on Monday. The duo recorded a Grand Prix Special score of 74.090% early in the round and eventually came through as 17th of the 18 qualifiers to the Grand Prix Freestyle. All riders will start with a zero score in the final event. Open sea racing in Rio led to challenging conditions on the fourth day of action for Annalise Murphy in the Laser Radial and Finn Lynch in the Laser competitions. Annalise dropped from 1st to 3rd place overall after an 18th place finish in Race 7 and an improved 12th place in Race 8. Finn Lynch is 29th overall after 33rd and 30th place finishes in Races 7 & 8 respectively. 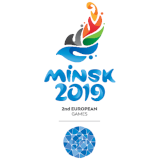 Both sailors have just two races left before the Medal events on Monday. The FX and FX 49er crews maintained Ireland’s trend of improved performances, as Matt McGovern & Ryan Seaton recovered from a 14th place finish in their opening race to finish third at the next opportunity. They sit fifth in the 49er class. Andrea Brewster & Saskia Tidey were in contention to win their second race but can be happy with the second place finish to back up an 8th place finish in their Olympic debut. The day’s performance was good enough for fifth overall, although both themselves and messrs McGovern and Seaton had their Race 3 cancelled. Scott Evans pulled off a stunning comeback to beat Marc Zwiebler of Germany in three sets and secure Ireland’s first ever win in the Men’s Badminton Singles competition. The Dubliner had lost to Zwiebler in all eight of their previous meetings including in the Group Phase of Beijing 2008 and a ninth defeat looked on the cards when he gave up the first set 21-9. Evans came out in determined mood in the second set and smashed home the winner to take it 21-17. Zwiebler looked a beaten player in the face of Evan’s aggression and conceded seven of the last eight points in the 21-7 decider. The win sparked a show of real emotion from Evans, who now faces Brazilian Ygor Coelho De Oliveira on Saturday night for a place in the last 16. There was disappointment for fellow triple Olympian Chloe Magee, who finished a campaign without a win for the very first time. Karin Schnaase inflicted the Group P defeat, winning 21-7, 21-19. Magee saved one match point with a defiant smash in a much improved second set but couldn’t gain enough momentum to complete a comeback.